College football fans may not readily recognize it, but East Carolina could very well be known as Running Back U. With a long string of high-performance backs like Ernest Byner, Carlester Crumpler, Leonard Henry, Anthony Collins, Jerris McPhail, Eddie Hicks, Les Strayhorn and others coming out of the program, you could make a case for the RBU label, for sure. And in the chronology that is ECU football, there was a back that in his one season in the backfield, etched his name among the best ever. Neal Hughes’ story is a little unique in that he was a star running back in high school and as a freshman at East Carolina, yet did not get back on the field as a running back for the Pirates until his cantankerous coach finally relented and let the back from Asheboro do what he always did best… run. Call it a test of wills with Hughes, a youngster, and the notoriously stubborn Stas squaring off from day one. But, when push came to shove, the two agreed in the end that Hughes was one hell of a running back. In 1967, his senior season, Hughes led all East Carolina rushers out of the famous Stas Single Wing, piling up 1,484 yards on 283 totes. He was named the first-team back on the All-Southern Conference team and led his team to an 8-2 record. Hughes was good and he’ll be the first to tell you that he sometimes thinks about what could have been, had he been in the backfield for the entirety of his varsity career. 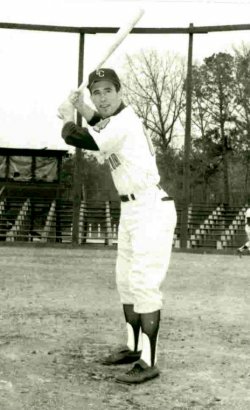 During his years – 1964 through 1967 – Hughes made plenty of difference to the East Carolina athletics program and it all began a little bit by happenstance. Football wasn’t even on the menu for Hughes during his youth days. Not that he didn’t love the game at a young age, but when you have a mom who worries, football sometime is tough sell. “Football was never really part of my life as far as playing except in the backyard,” Hughes said. “I grew up playing Little League baseball and basketball. But football was always interesting to me. We played some rough games in the back yard. Hughes was a sophomore and on the junior varsity. Because he possessed great speed, he was a running back on offense and played linebacker on defense. Hughes got a good grasp on the sport and it wouldn’t take long for him to lock down a permanent gig on the varsity. From his first game, it was clear that Hughes had a knack for running the ball. Not just because of his speed, but more so for his ability to find space where it looked as if there was none. His team ran out of multiple sets – unbalanced line, Wing-T, two backs, split backs and even a three-man full-house backfield. He was effective from the get-go running the ball, mostly because he loved doing it. “You know, really, having the ball and being able to outmaneuver and outrun and outsmart people, that is what I like (about running the ball),” Hughes said. “I really was introduced to running the ball playing soccer in 9th grade. We didn’t have a (formal) team, so we made our rules up and played it in PE class. I played goalie because in our game, the goalie was allowed to field the ball and run with it. I would get the ball and run with it all the way down the field and throw the ball in the goal. Though his mom was very hesitant to let her son play football, she did keep up with the action in her own way. While his parents were passive observers to his unfolding career, Hughes did have solid sources of meaningful influence over his development. “We had a great football coach at Asheboro,” he said. “He is a legendary coach in these parts, Lee J. Stone. He had coached Charlie Choo-Choo Justice at Asheville and won a state championship there and also at Broughton High in Raleigh. He was a great coach, but you did tip toe around him. He was that type of head coach. Growing up in the western part of North Carolina, Hughes had barely even heard of East Carolina – let alone its football program – and he had never been remotely near the campus. He was getting plenty of attention from colleges for football, including Wake Forest, Duke, South Carolina, Furman, Dartmouth, and Army, among others. All the schools, including East Carolina, could not resist recruiting him based on his exploits in high school. Then-Pirate assistant Odell Welborne had sniffed out the talented Hughes and was looking to put on a full-press to acquire his talents. “I had talked to Wake Forest and Duke, who told me that they wanted to send me to Fork Union for a year, and also the people from South Carolina and Furman about football,” he said. “And those people from Dartmouth came around from the Ivy League, but I would have been a fish out of water there. Army sent me an application as long as War and Peace and I didn’t even try to fill that out. I was really looking at Wake and some of the alumni took me over there for a visit. There was more to the recruiting as well. Welborne reeled Hughes in and delivered him to Coach Henry VanSant, the frosh skipper under Stasavich. For Hughes, the VanSant effect took hold quickly. “Henry VanSant, let me tell you something, that guy… where Max Morgan was my high school mentor, this guy Henry VanSant was the same for me in college,” Hughes said. “More so… if you were to go to war, you want him with you. Of course, if he was mad at you, you would want to be in the next state. What a great, smart, tough guy Coach VanSant was. I really admired him from afar and we’ve become very good friends to this day. And with real freshman ball came real lessons for Hughes, compliments of his coach. Hughes also learned a little about desire and discipline through that hard-line VanSant style. While he was adjusting to his new environs, he was also adjusting to a new kind of football. “The biggest change I had was going from a Wing-T and split backfield with a quarterback, to a Single Wing where I am sitting back there with other guys and the ball comes directly to you, which is not so bad because it is like getting the ball five or six yards deep – like a tailback. You can see the field and I liked that because I could make decisions (more easily). Of course, the bad part was, in high school I threw the ball three times. I was not a quarterback. That was a totally different ball game. Not necessarily how to throw but how to do it under pressure and anticipate cuts and where they are to be. And of those 11, Hughes was toting the ball on the offensive side and doing quite well. While his frosh coach, teammates and fans were noticing his offensive talents, the big man – Stas – wasn’t very impressed. Expecting that he would be a back in Stas’s offense as a sophomore, Hughes readied for his second year. Though he soaked up the fun of playing defense that sophomore season, how Hughes ended up on defense was a story in itself. “Yeah, my sophomore year…that’s when the tale gets real sorted,” he said. “I started at the tailback position and followed the guy who wore number 43 the year before – Bill Cline. He had matriculated to the CFL. Bill was an excellent passer and was a pretty good runner, too. Bill was a great, precision passer, so following him into the lineup was… I was just the opposite and was learning how to throw the ball but could run. I did well enough over spring drills and started the first game as the tailback. Not boasting here, because it goes straight down hill from here, but the first time I got my hands on the ball, the first play from scrimmage in the first game, I busted about a 65-yard touchdown, which was enough to swell somebody’s head. Everyone was making a big deal about it. His injury was not quick to heal. For Hughes, that defensive initiation was worth a year away from all he knew as a player. That season, the Pirates were a strong 9-1 and Hughes contributed big-time on the defensive side of the ball. With such a strong year on defense, Hughes truly had no idea what his junior year would bring. That season, ironically, the Pirates won the Southern Conference with a 4-1 record, but finished the season with an unimpressive 4-5-1 mark. So, heading into his final season, Hughes resigned himself to the thought that he would be on defense. He and his coach’s personalities simply did not click and it made Hughes even more rebellious at times. Whatever Stas’s opinion of Hughes as a player, it was exacerbated by what the rising senior did prior to his final season. Satisfied with the joy of a great baseball season, Hughes then had to march over to the football field where a less-then-thrilled coach was waiting. “So, now I am coming back to football and Stas was still fuming because I had one-upped him, I guess,” Hughes said. “I remember, linemen had to run the mile under seven minutes and backs under six minutes. I could run it in 5:30 or something like that. I was out there and Stas was there with his stopwatch standing next to Henry VanSant. I was determined that I would run that mile in as little under six minutes as I could. I wanted to maybe nose under to get under Stas’ skin, so I ran it in like 5:56 and had to run the final lap at a full sprint. That is the kind of relationship we had and it was as much my fault as his. Hughes had a pretty nice year as well, leading the team in rushing and garnering all-conference honors as he led his team to an 8-2 record. After his senior season, Hughes stayed in Greenville to work inside the program. Hughes had enlisted in the Army as a reservist and would go on to spend 8 months on active duty, serving as a drill sergeant. “I didn’t take intimidation and sarcasm forward with me as a coach or a drill sergeant,” Hughes said. “I believe you certainly get more out of a kid if you learn how to get it out them. Some respond differently than others. What Stas’s methods did to me was get me thinking about how to get even and that isn’t the way I wanted to motivate. After active service ended with the Army, Hughes went back to pursuing what he thought would be his future career. Working at Wachovia, Hughes interacted with a number of large account holders and was exposed to many different businesses. One relationship turned Hughes’ career on a dime. That endeavor blew up big for Hughes who remained with that company until it was sold to Colgate-Palmolive in 1987. When his former customer was fired and Hughes was feeling antsy to leave, the two struck out on their own and launched a venture called Elastic Therapies Incorporated. “We started a company of our own,” Hughes said. “We ended up taking all of our customers and eventually bought back our own building. You know, you hear people say, ‘football is like life,’ and usually can’t stand (clichés) like that, but when it is the 4th quarter with three or four minutes left, you really are going to find out who you are. There are things like this in business. Instead of panicking, running, hiding, and crying, you got to sit down and work through and have confidence in your abilities. You have to have confidence in those people around you. In business, you hire the best you can find and give them the tools to do the job and then get out of their way. The cream will rise and you will know it. Good people and good tools get the job done and in football, that is the same story. So the cliché is accurate, I guess. 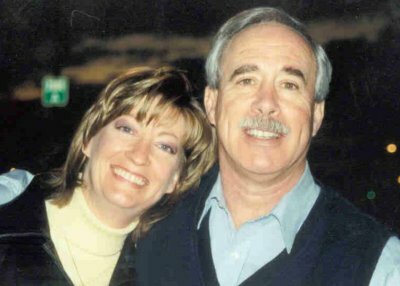 Hughes sold his part of the company in 2003 and headed into a well-deserved early retirement. He and his wife of 17 years, Tammie, are now spending time being involved in other endeavors and reflecting on life. Hughes has been putting in some hours helping many of society’s forgotten people. His mission at the jail is to help those who need it the most. Hughes has been working in the jail going on two years now. He was inspired by the work of Chuck Colson – who was jailed as part of the Nixon Watergate scandal. Colson, himself inspired, set up the prison experience for inmates. Hughes was moved by Colson’s mission and that led him to his work at Guilford County Jail. Today, Hughes admits that though his life is as busy as always, more so maybe, he does keep an eye on Pirate football. “I do follow ECU and celebrate the successes almost to the verge of being obnoxious,” he laughed. And though he doesn’t get over to Greenville that much these days, he still feels connected. Still, though he has not been able to get to Greenville much since he left in 1968, Hughes has invested his emotions in recent Pirates teams. And Hughes has some opinions on the recent Pirates programs. “I never really got to know Steve Logan during his years there,” Hughes said. “I met him and had been in the locker room at games, but it was kind of hard to know him. (Thompson) has good credentials coming out of Florida, but what I am concerned with is that it is going to get tougher and tougher with this conferencing thing. If you don’t align yourself within a conference with competition that you can see, smell and taste, and if your conference isn’t recognized by the BCS, then you’re losing. Perhaps with his new found retirement, Hughes will have more opportunities to catch his Pirates as they work through their current state. That would probably be the topper for this former Pirates star. Making progress all the time… just as he did as a Pirate, so many years ago.